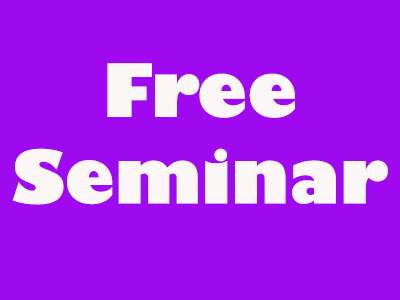 Join our free 45 minute seminar! Conducted in an informal environment, there will be approximately 30 minutes of information followed by a 15 minute question and answer session. Seminar bookings are not required. If you have small children, why not utilise the Creche? The Creche is available until 8.45am - 12.45pm - bookings required.